Hello sweeties! 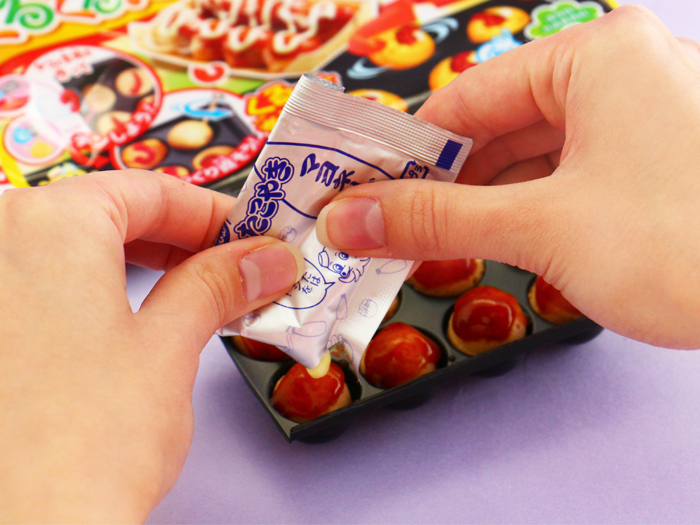 This Popin’ Cookin’ Kuru Kuru Takoyaki DIY Candy Kit from Kracie was included in the April 2018 candy subscription box. 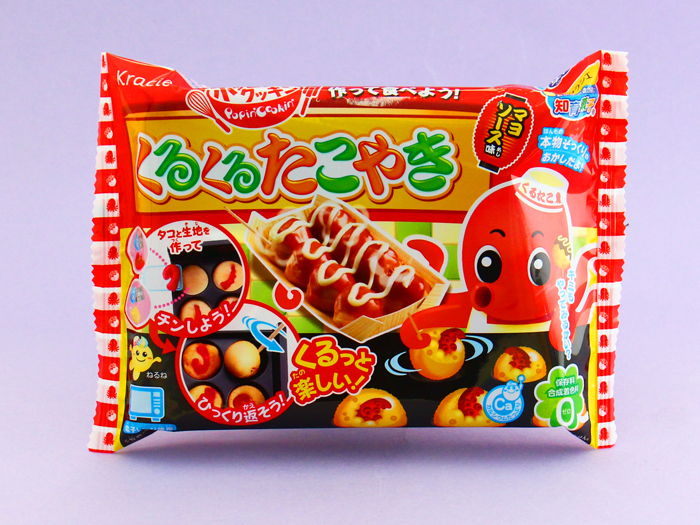 Follow this tutorial to create your own delicious candy version of traditional Japanese takoyaki with octopus filling! 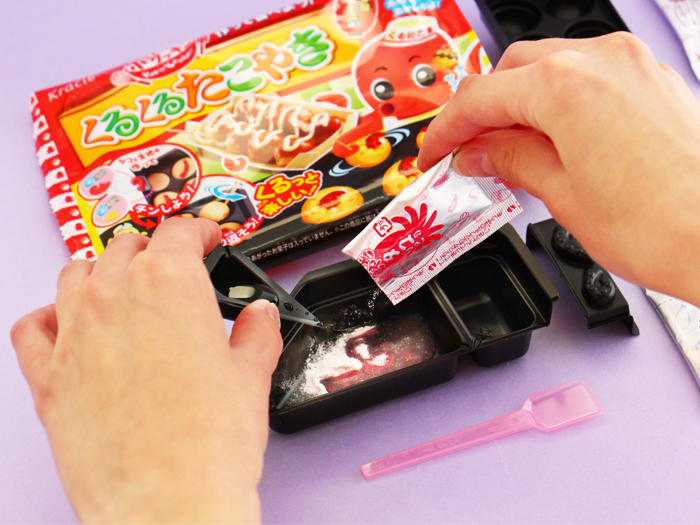 This DIY kit includes 4 candy powders bags (takoyaki, mayonnaise, sauce, and octopus), 1 spoon and 1 big mold. Let’s start with cutting the mold into 5 smaller pieces along the lines. 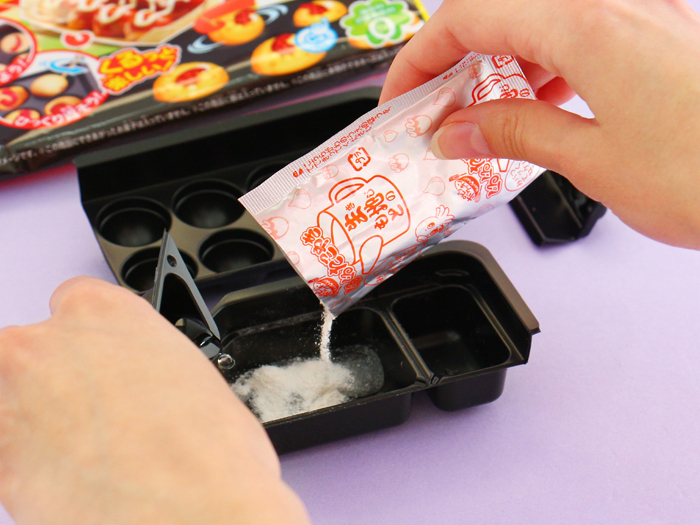 ▲ Pour the red candy powder bag into the first mold and add 1 cup of water with the small triangle shaped mold. Use the spoon to mix the ingredients well until the texture is dry and solid dough. Then, use the octopus tentacle mold and add pieces of the pink-colored dough to make cute little tentacles. ▲ Cut open the blue mayonnaise powder bag and pour 1 triangle-cup of water into it. Again, mix well with the spoon and wrap the bag up. 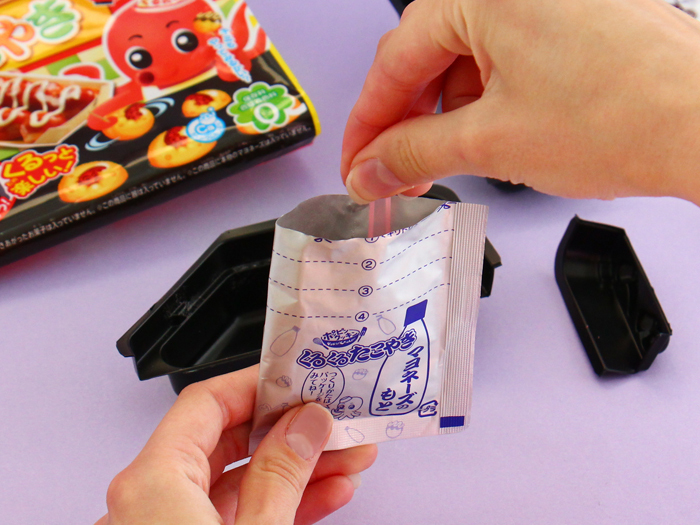 ▲ Pour the orange powder bag into the mold and add 2 cups of water with the small triangle mold. Mix well with the spoon until the texture is solid but fluid. 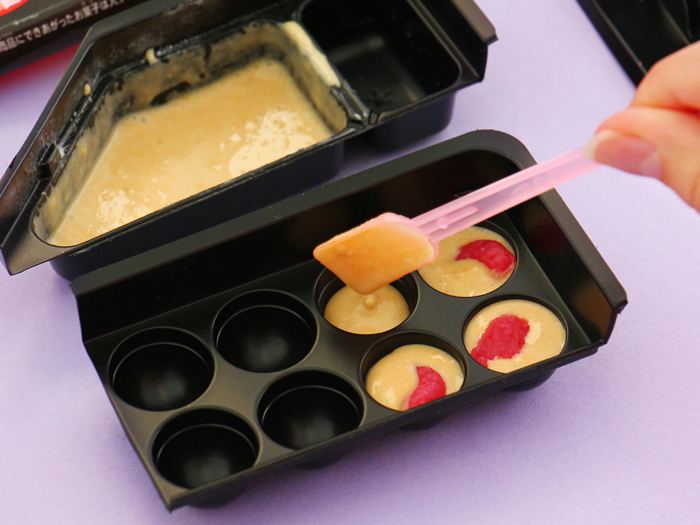 ▲ Pour the mix into the takoyaki ball molds. Add the octopus tentacles on top. Put them in the microwave oven for 40 seconds at 500W. 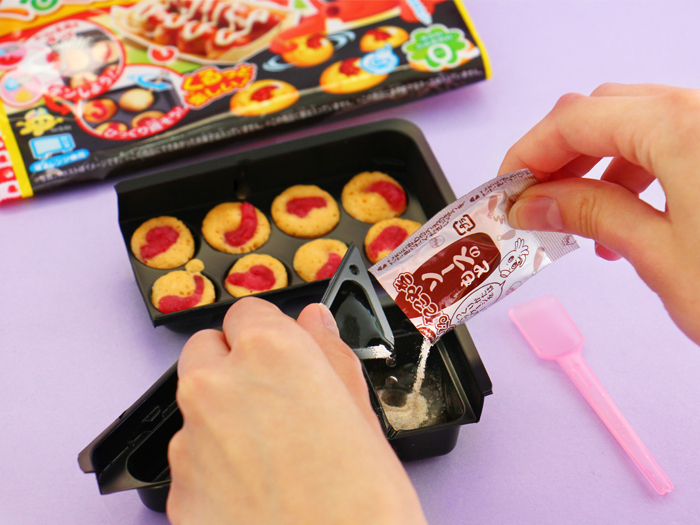 ▲ Mix the sauce powder with 1 triangle-cup of water and mix well with the spoon. 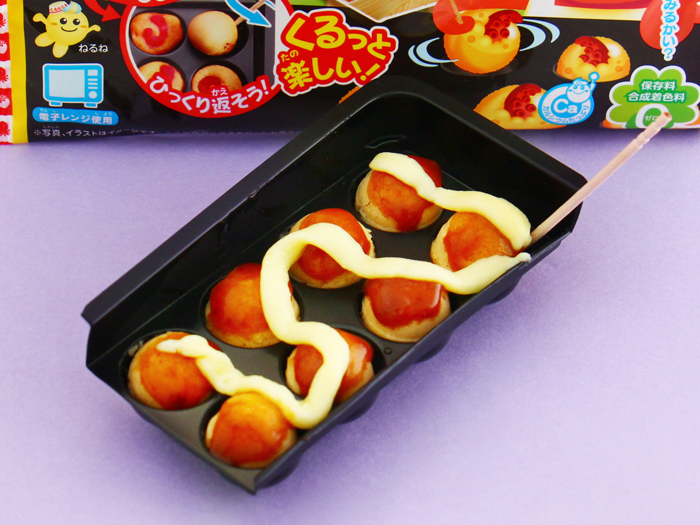 ▲ Turn the microwaved takoyaki upside down so that the candy tentacles are facing down. Add the candy sauce. ▲ Add the candy mayonnaise on top of the balls. 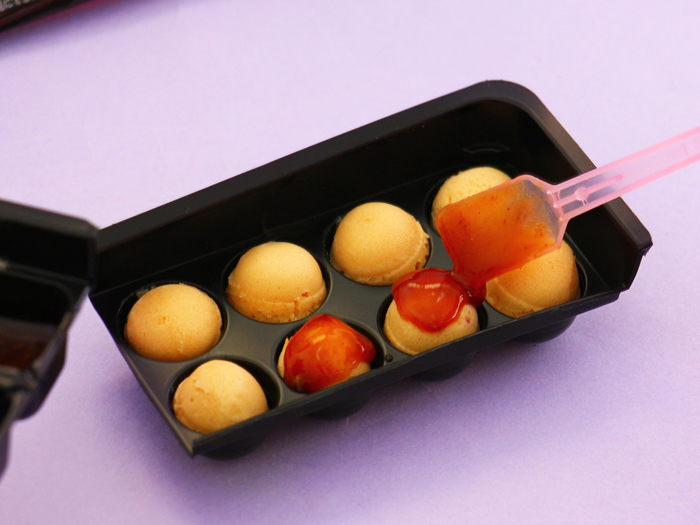 ▲ Now you can treat yourself with traditional takoyaki made from candy ingredients! 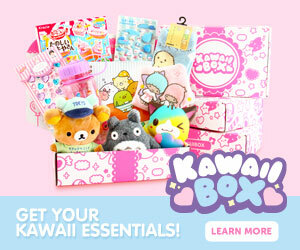 Enjoy them by yourself or share with your with your friends! 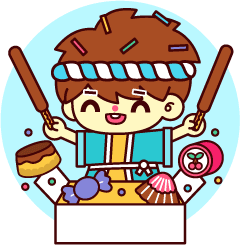 Oishii! My favorite is any flavor KitKat ! Now this is very interesting and fun. I think it’s so cool.